The Factory Ministries | It may not feel like spring but it’s time to register for the Spring Banquet! Join us at 6:30pm on April 3rd at Paradise Elementary School, 20 North Belmont Road, Paradise, PA 17562, as we celebrate what’s happening in our community! Enjoy a family style meal prepared by our Amish friends, hear a word from our President/CEO, Chuck Holt, and see the journey of a family and how your support has empowered them through the relationships and programs of The Factory Ministries. Register online at thefactoryministries.com or call (717) 687-9594. It may not feel like spring but it’s time to register for the Spring Banquet! Join us at 6:30pm on April 3rd at Paradise Elementary School, 20 North Belmont Road, Paradise, PA 17562, as we celebrate what’s happening in our community! 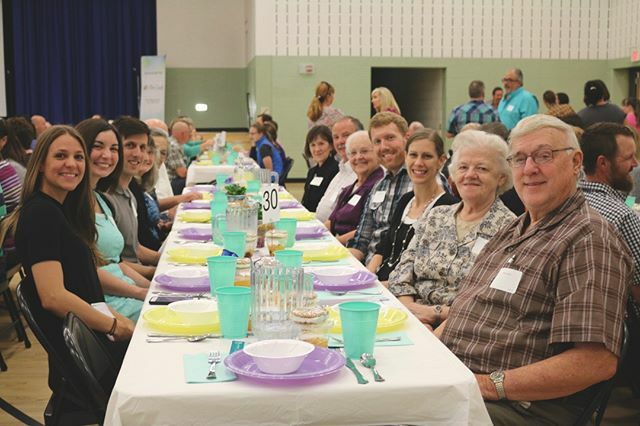 Enjoy a family style meal prepared by our Amish friends, hear a word from our President/CEO, Chuck Holt, and see the journey of a family and how your support has empowered them through the relationships and programs of The Factory Ministries. Register online at thefactoryministries.com or call (717) 687-9594. Home > It may not feel like spring but it’s time to register for the Spring Banquet! Join us at 6:30pm on April 3rd at Paradise Elementary School, 20 North Belmont Road, Paradise, PA 17562, as we celebrate what’s happening in our community! Enjoy a family style meal prepared by our Amish friends, hear a word from our President/CEO, Chuck Holt, and see the journey of a family and how your support has empowered them through the relationships and programs of The Factory Ministries. Register online at thefactoryministries.com or call (717) 687-9594.